Churches are facing a crisis of epidemic proportions: attendance is dropping, empty pews are not being refilled, and doors are closing! Unfortunately, the leadership in today's churches are not trained, nor equipped, to handle this crisis. Leaders at all levels must know how to be an effective leader and communicate in a 360-degree radius effectively with each person they are in contact with. Knowing and understanding what the objectives of the church are is of paramount importance. Planning for church growth is more than a simple prayer. Church growth starts with prayers, visions of where God wants the church to go, and an evaluation and analysis of where the church is. Unfortunately, not every church is prepared for growth and must take the necessary steps to be prepared for growth. Love sells itself, and love must be shown to all those who not only enter the church's doors, but throughout the community. Love is not shown by being the loud carnival barker who is selling chances to win a stuffed animal, but by actions. Love is a warm smile, a heartfelt welcome, a firm handshake or hug, a short sweet introduction, a sincere inquiry about the person, and most importantly, love is listening. Love does not sell anything, especially denominationalism. The life cycle of the church must be understood, and leadership must know where the church is in the life cycle. In order to extend the church's life cycle, new ideas and services must be continuously developed and initiated in order to stay relevant. This relevancy leads to a strong brand for the church. 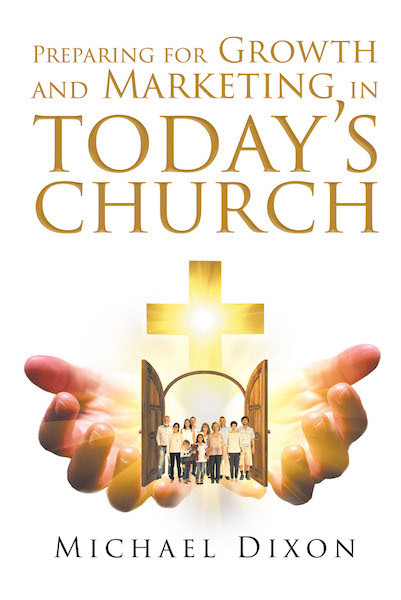 This book was developed with interviews and conversations with pastors and clergy from all walks of faith and from all areas of the United States. Regardless of the denomination, this book is designed to guide church leaders through the necessary steps in order to grow and market your church.